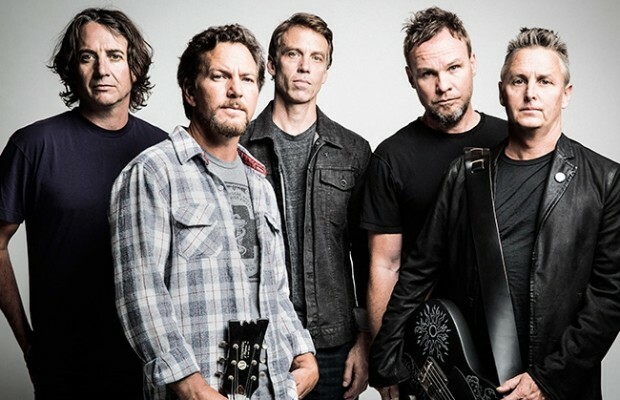 Pearl Jam will be inducted into the Rock & Roll Hall of Fame by Neil Young April 7 at Barclays Center in Brooklyn, New York and they're inviting all of their drummers to attend the ceremony. Like many bands, Pearl Jam have seen their fair share of members, which is totally cool, but the Hall of Fame doesn't induct every member. With that, Pearl Jam sent out a hand-written note on social media stating that they invite all members to join them. The other inductees this year include Journey, Tupac Shakur. Joan Baez, ELO, and Yes.